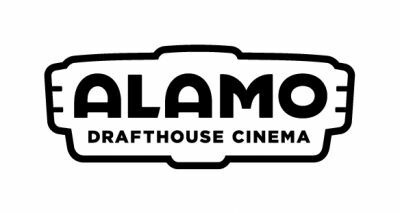 The General Manager is a brand representative who reinforces the company goals, values and mission statement while ensuring Alamo Drafthouse Cinema’s standards of quality and service are accomplished. They are also responsible for the efficient and profitable execution of the venue. This includes all salaried managers in their deployment and management of every area including, but not limited to Box Office/Server/Runner/Bar and Kitchen operations; identifying maintenance issues; creating relationships with vendors; creating new avenues of revenue; marketing; social media; VICTORY memberships; community involvement and charities; fostering a cooperative and productive environment for teams; Private & Corporate Events; special programming; pricing; Chef/KM and menu/dinner execution; market share. To that end, the General Manager has oversight over scheduling, deploying, and maintaining open and transparent relationships with ownership and every category in the house. Facilities in terms of operations and appearance • Guest Satisfaction as measured by NPS/comps, etc. Bench Development and communication as measured in ENPS, turnover, etc. Time management and organizing priorities is key to the success of this position. Success will be measured in terms of “flow-through” which is the measurement of EBITDAR; in building successful and productive relationships with corporate support resources; in executing and innovating systems and procedures designed to push the brand forward while strictly adhering to brand standards. Work is typically performed in the venue. The noise level in the work environment is usually moderate. The work involves a majority of standing, bending, stooping, twisting, climbing and some lifting up to 50 lbs. Only those present in a normal theater venue setting; no known significant hazards.